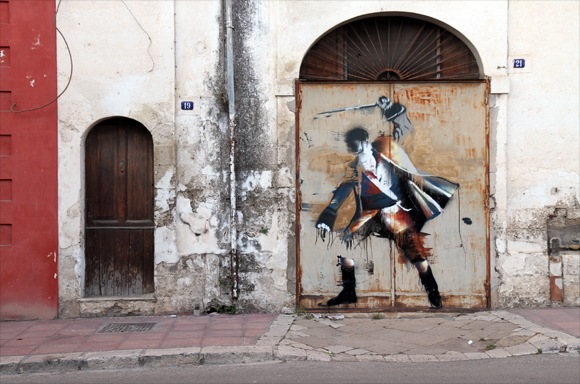 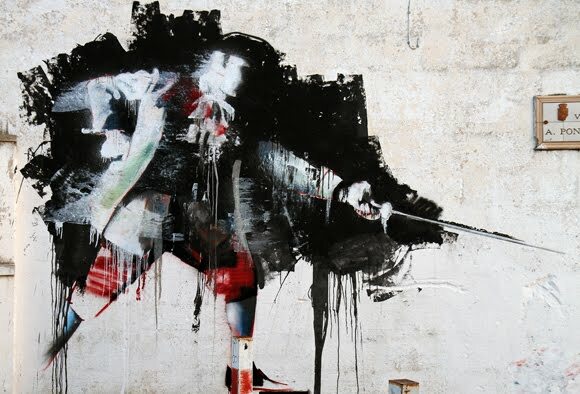 East London based Irish artist Conor Harrington was recently in Italy for this years Fame Festival 2012 in the Southern town of Grottaglie. Conor is the first artist from this years line-up to visit the city and painted a number of impressive large scale murals including a version of the "When We Were Kings" painting from his sold out 'Dead Meat' show at Lazarides last March. 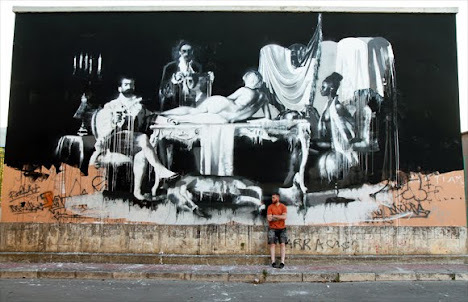 Check out the shot film below featuring Conor at work on the murals as well as enjoying some tasty Italian food.